Unless you’ve got hundreds of millions of dollars burning a hole in your pocket, or fancy yourself a Thomas Crown-esque art thief, you’re never going to own an Andy Warhol original. You can, however, grab these plush recreations of some of the pop artist’s most famous artworks from Kidrobot and cozy up with a masterpiece. 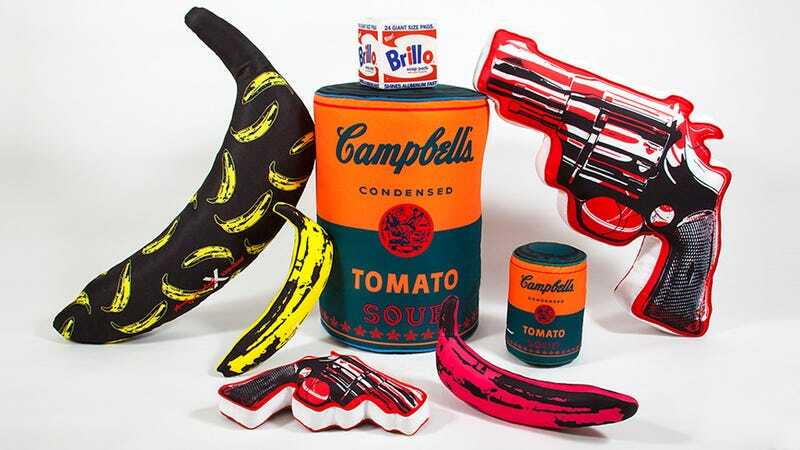 The smaller versions of these plush toys, including pieces like Andy’s Brillo box, and an off-color version of Campbell’s Tomato Soup can be yours for just $20. But if you want the larger ‘XL’ versions, which are about 20+ inches in size, you’ll be spending closer to $150 for each of them. Apparently Warhol’s work is still in high demand.